Annual anchorpoint certification, testing and tagging is a vital part of ensuring that fall arrest systems remain safe, compliant and functional. Every structure that incorporates an anchorpoint based fall arrest system, is required to have qualified personnel test and certify existing anchorpoints every twelve months. If you require annual anchorpoint testing and certification services, please contact us for an easy, cost effective means of compliant maintenance of your fall arrest system. Our expert team of abseil window cleaners have provided a solution for accessing and cleaning windows using abseil window cleaning method connecting to twin rope connected to certified anchor points located on the roof of the building, so our abseil contractors can descend the external facade to clean the external glass, this solution allowed us to provide a cost effective solution without the need for expensive BMU equipment (that requires high maintenance costs) as the cost alone for our method is comparable to the maintenance cost alone for Building Maintenance Units before personnel even start to clean windows. Contact out Project Manager if you require a cost effective solutions to carry out abseil window cleaning. Welcome to the Advanced Solutions Group Blog! We are pleased to announce our presence here with a new and interesting blog, which will serve to keep you all informed of Advanced Solutions Group’s activities, particularly our Industrial Rope Access and Height Safety work. We hope that you will enjoy referring to this blog to see what types of work we are doing and how we are providing services in the Industrial Abseiling industry. 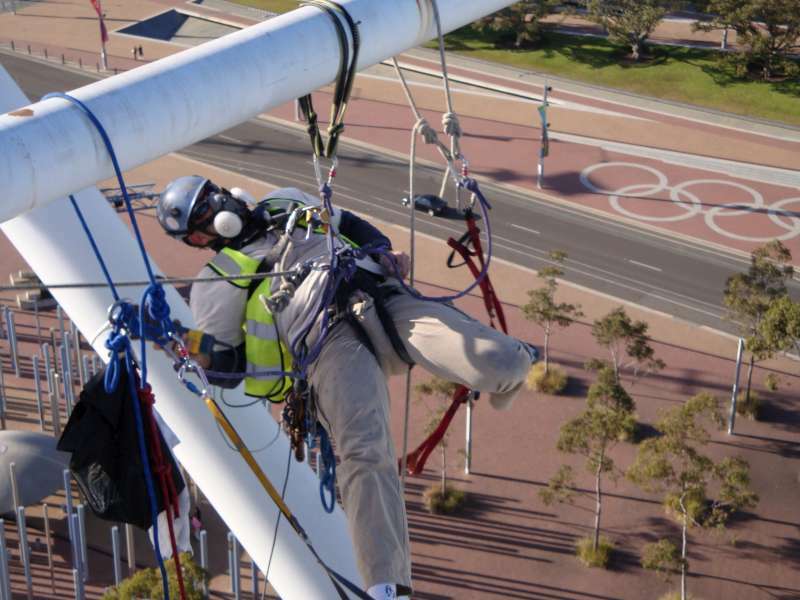 Industrial Rope Access – Industrial Abseiling – Concrete Repair – High Rise Painting – Anchor Point Installation – Anchorpoint Testing and Certification – Rope Access Facade Surveys – Height Safety and more. Advanced Solutions Group provides you with all your industrial abseiling access building maintenance needs and requirements from concrete repairs, high rise painting, anchor point installation, rope access facade surveys, height safety installers, anchor point testing and certification.